Top Indian judoka Avtar Singh has qualified for the Rio Olympic Games in under 90kg weight category, the national federation said on Saturday. As per the list released by the International Judo Federation, Avtar has qualified for the Rio Olympic under the continental quota, Judo Federation of India President Mukesh Kumar said in a release. Avtar, who hails from Gurdaspur in Punjab, is presently working with the Punjab Armed Police. Avtar won a gold in South Asian Games held in Shillong in February and a bronze medal in Asian Junior Judo Championships in 2011. He also won gold medals in Senior National Judo Championships in 2013-14 and 2014-15. 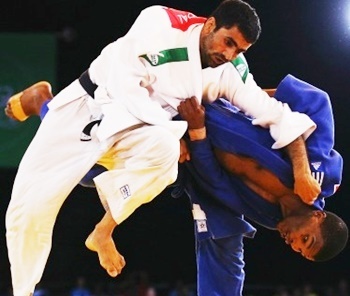 In the Asian Judo Championships in April in Uzbekistan, Avtar finished fifth after beating judokas from China and Iran.